“The Glory Days of Elvis” … That was the title of Jim Miller’s article in a November 1984 issue of Newsweek. 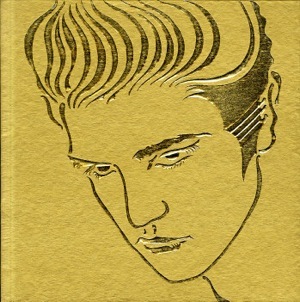 Miller’s assignment was to review “Elvis Presley—A Golden Celebration,” a six-disc box set issued by RCA to coincide with Presley’s 50th birthday in January 1985. (Elvis, of course, was not around to celebrate the milestone, having died in August 1977.) Along with the record review, Miller commented on the current status of Presley’s legacy, which had wallowed in a fog of uncertainty over the 7½ years since his death. Miller’s judgment was that the glory days of Elvis were both in the past and in the future. 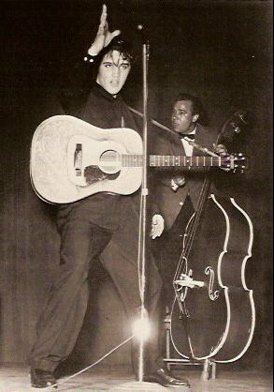 It was time to stop dwelling on the squalidness of his last years and refocus instead on Presley’s impact on the American scene in the 1950s. As a confessed participant in the “blind adulation” of Elvis for 15 years before his death, I found Miller’s article liberating in a new way. He and many other writers in the mid-eighties were taking Elvis seriously again, releasing me and other faithful Presley fans from the anxiety we felt in the years between his death in 1977 and his critical rebirth in 1985. When Elvis died, a whirlwind of shocking revelations put his musical legacy on the back burner and his fans on the defensive for the better part of a decade. First and foremost were the accusations of his excessive prescription drug use. Just 10 days before Elvis died, a new book by three fired Presley employees charged him with widespread substance abuse. We fans initially labeled the trio of authors “liars” and “traitors,” but the toxicology report confirmed the worst—Dexedrine, Dilaudid, Demerol, Quaalude, Percodan, and others. When details of Presley’s estate began appearing in the press following his death, it was more bad news for Elvis’s legacy. In 1979 The Commercial Appeal in Memphis estimated the worth of the estate at a paltry $7½ million, which included Graceland, its furnishings, and Elvis’s clothing. The IRS, however, appraised the estate much higher at $20 million to $30 million, from which the Feds claimed $14.6 million in inheritance taxes. The state of Tennessee wanted its share in the amount of $2.3 million. The tax bills alone threatened to bankrupt the estate, and force the sale of Graceland. To make matters even worse, the Presley cupboard at RCA was bare. During the last several years of his life, Elvis had lost interest in studio recording sessions. With no backlog of unreleased music, RCA struggled to keep the public interested in Presley. The first posthumous album releases, two LPs volumes titled, “Our Memories of Elvis,” were regurgitated collections of previously released material. They barely registered a blip on the Billboard album chart. While RCA continued for several years to market recycled Presley’s music, Elvis fans turned to an active and illegal bootleg market to get their fix of unreleased Presley recordings. The King’s music had gone underground in the late seventies and lost all relevance on the contemporary scene. 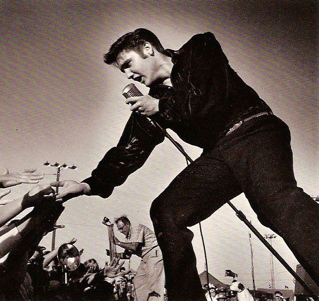 Elvis’s legacy seemed to be dying a slow death in the first few years following his passing. Behind the scenes, though, events were taking place in the early eighties that would culminate in a revival of Presley’s cultural heritage around his 50th birthday in 1985. The first major event was the opening of Elvis’s Memphis home to the public. The foresight of Priscilla Presley in deciding to open Graceland to visitors saved the mansion from the auction block and kept Elvis’s estate from bankruptcy. Graceland opened to capacity crowds on June 7, 1982. Perhaps, though, the single most important event in the rebuilding of Elvis’s legacy was the ending of Colonel Parker’s control over Presley’s image. Soon after his client’s death, Parker vowed to continue managing Elvis’s commercial affairs as if he were still alive. 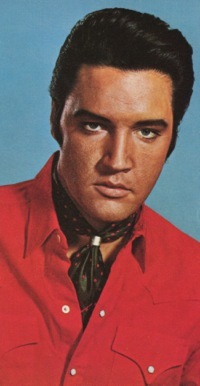 Although the Colonel may have been able to intimidate Elvis, he was not able to coerce the managers of Presley’s estate. In June 1983, with a payoff of $2 million, they ousted the Colonel as Elvis’s manager and cut him off from profiting any further on Elvis’s name. Under Rascoff’s (later Snoden’s) management, Elvis Presley Enterprises (EPE), the ongoing money-making arm of the estate, began marketing Elvis with an eye toward building his image for the long run rather than making a fast buck, which had guided Colonel Parker’s decisions. In 1983 EPE purchased the shopping mall across the street from Graceland, and by 1985 had replaced most of the Elvis trinkets sold there with quality, high end Presley collectibles. Licensing fees and retail sales increased dramatically. Getting Parker out of the picture also led to an upgrade in the quality of RCA’s output of Presley recordings. After being forced in court to pay the Presley estate $2 million due to past shady deals with the Colonel, RCA signed a new agreement with EPE to release Presley recordings. Finally free of Colonel Parker’s bullying and demands for side deals, the label followed EPE’s lead and focused on material designed to build the Presley brand for the future. The “Golden Celebration” box set in 1985 was the beginning of a new golden age for Elvis’s music. Several other quality box sets headlined RCA’s Presley releases through the end of the century. In 1999, Follow That Dream, a subsidiary label, began mining Elvis’s unreleased session outtakes and live recordings to feed the insatiable appetite of Presley diehards. The demand for Elvis recordings, which had been on life support before the Colonel was forced out, revived and was welcomed by Elvis fans and music critics alike. "The single most important event in the rebuilding of Elvis’s legacy was the ending of Colonel Parker’s control over Presley’s image. In June 1983 he was ousted as Elvis’s manager."